IMANA Medical Relief is dedicated to saving lives and relieving suffering through disaster relief, providing healthcare to underprivileged regions, development programs and knowledge transfer. IMR provides a great platform to Muslim and non-Muslim physicians & allied healthcare professionals to serve the ailing humanity. We collaborate with other relief organizations to facilitate medical relief needs. 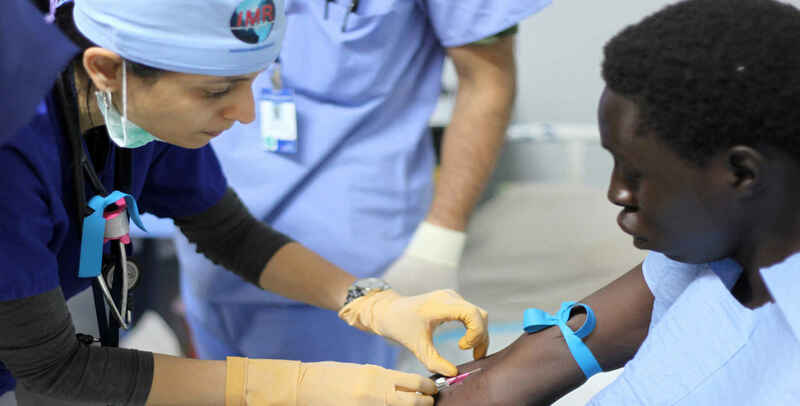 As the North American arm of the Federation of the Islamic Medical Associations (FIMA), IMR has ready access to medical personnel, supplies, and local logistics in over 30 countries. Our medical relief missions have provided timely and effective aid for the needy worldwide, be they victims of natural disasters, hostilities or living in underdeveloped areas of the world. SaveSyria Donation for Sayyeda Hiba Fatima (PA) mission trip in February, 2019. My dear friend, Yasir, has seen first hand the value of the donations. He as worked along side the medical personnel and enlightened me to the needs.